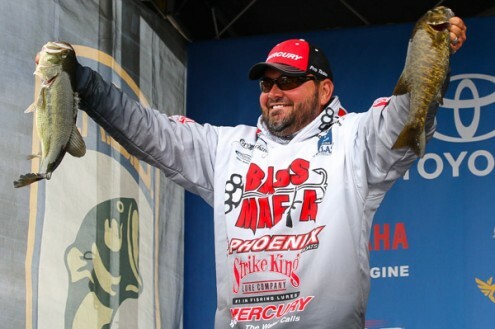 The Bass Pro Shops Central Open on the Arkansas River kicks off tomorrow, and Australian angler and STORMR team member Carl Jocumsen is doing everything he can to punch his ticket to the Bassmaster Elite Series. If he manages to do so, Carl will be the first Australian angler to ever qualify for the Elite series and ensure he will be fishing against some of the best anglers in the world in 2015. Carl finds himself sitting in 4th place in the standings going into this final Central series Open. With the top five anglers moving onto the Elites next season, he could be just a few good bags away from realizing the dream that brought him to the US a few years back. We are excited to have Carl aboard, and are looking forward to following along over the next few days. While you wait for the weigh-in, check out a video he put together showing his time on the road and Lake Champlain during the Northern Open event there last month. Mega Week and ICAST Highlight Mid-July! If you live above the Mason-Dixon line you’re either enjoying some of the best fishing you’ve seen in years, or you’re missing out on it! The current temperatures and moon phase is producing a feeding frenzy of both Large and Smallmouth bass. Temperatures have been moderate and slightly cooler at night. While the moon phase has fish targeting crawfish and feeding so heavily on them, you can actually see fish regurgitate them when they’re being reeled in or after they’ve been in your livewell. This is a great time to throw tubes, jigs, and soft plastic craws. You should use mixed colors like black and blue or Alabama Craw, to imitate the kind of transition that they’ve been going through since the full moon on the 13th. Early July 2014 has been a really exciting time because the fish have been feeding very aggressively, making them easier to locate than they normally are, particularly this year with the absence of grass in the lakes that were hit hardest by the coldest winter I can remember. Rocky points, isolated rock piles, bridge pilings, and ledges are all holding big largemouth and smallmouth right now. A seven foot, medium heavy rod with a fast action reel (gear ratio of 7:3:1), 17lb fluorocarbon line, a big hook, half ounce pegged tungsten weight, rig it Texas and you’re good to go! You can fish them a few different ways: drag it, pitch it, or snap it by raising it up and down quickly in a 6-12 motion. Let the fish dictate for you how they want it. If you’re jig fishing, use a 1/2 or 3/4 ounce in either green pumpkin or black and blue. This is also a great time to improve your ability to fish deep. Start the morning by targeting laydowns or lilypads with frogs, Sammies, or other top water baits. But as the sun comes up, leave the bank for a little bit and force yourself to target the deeper fish now while they’re feeding so well. Every Angler has something that they believe sets them apart in the fishing realm. While scanning the internet for some lunchtime entertainment, I came across something truly unique. Perhaps, the most insanely unique form of fishing. I felt the need to share it with you. ” In 1934, Hemingway used an advance on a book of short stories to buy an 11.5-meter (38 ft) pleasure yacht that he named Pillar and customized extensively. 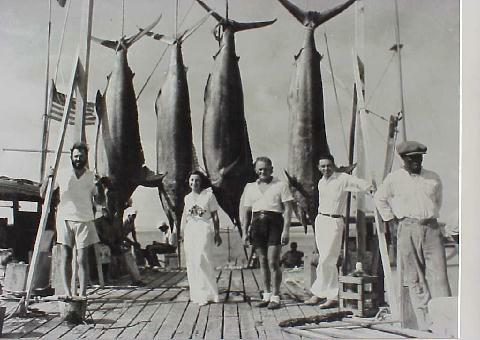 It was at this point that Hemingway became an expert fisherman. During the summer of 1938 alone, he managed to catch an insane 52 marlins. 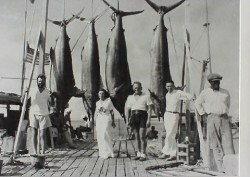 In fact, Hemingway was such a legendary fisherman in Cuba that Castro held the Torneo Hemingway fishing contest in Hemingway’s honor in 1960. Check out what some of our STORMR Staff & Fans Reel in Here. Team STORMR member Greg Hackney finished 3rd this past weekend at the Bassmaster Elite Series Tournament at Table Rock Lake in Branson, MO. He weighed 60.15lbs over the four day event. When the weather calls for it, Hackney has been wearing our STRYKR series rain gear for the past two years. © 2019 Stormr, All Rights Reserved. Stormr is a registered brand of Henderson Sport Group.